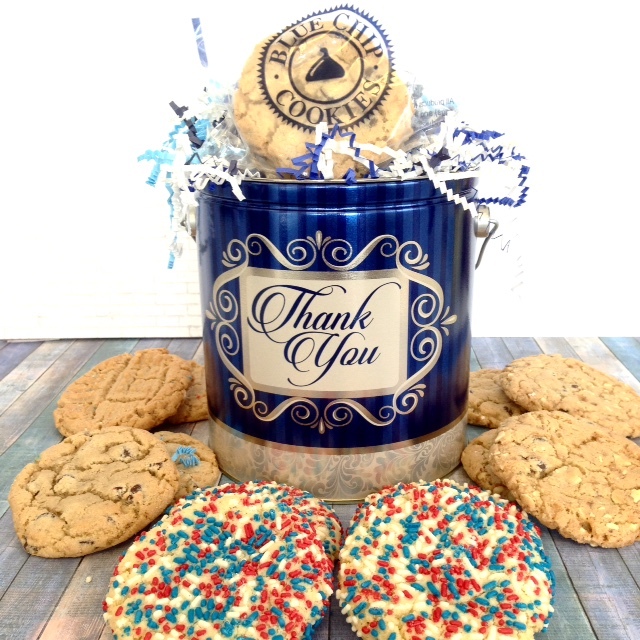 28 Cookies~Our top selling collection has been a favorite for over 35 years, so double up on this assortment and save, $10.00! You can't go wrong with the Double Premium Collection. Great for parties, office gatherings, favors for meetings or corporate gifts. There is a cookie flavor for everyone: Chocolate Chip, Cinnamon Delight, Peanut Butter (creamy), Sugar with Sprinkles, White Chocolate Macadamia...and then we top it off with the "Cookie of the Day (4 more cookies)!" Four cookies for each flavor! We have made our cookies with the finest ingredients: real sweet butter, pure vanilla, macadamia nuts from Hawaii, specially milled flour, cane sugar, and whole eggs. We have no trans fats and no preservatives. Order by 2:00 pm EST Monday-Wednesday and we will try to ship your gift that day! We ship Monday through Wednesday for arrival Tuesday through Friday (unless it’s a FedEx holiday). 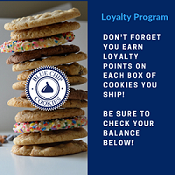 Our goal is to deliver them within two shipping days, as our cookies have no preservatives, and we want your recipients to enjoy freshness excellence. *We will ship on Thursday for Friday/Saturday delivery for special holidays and during busier times of the year, or locally. 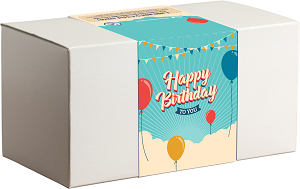 If you need something sent on Thursday for Friday/Saturday, please contact us at orders@bluechipcookies.com. Freeze for the Future: If you cannot eat all your cookies within two days we recommend you leave them in the bag and freeze! Do not refrigerate as this will dry the cookies out. Take your cookies out of the freezer 15-20 minutes before serving to defrost. Also, you can put them in the microwave for up to 10-12 seconds to make warm. Additional questions, please review our "Shipping Policy" on the right side above the shopping cart area. Are you planning for the future? No problem. Orders can be placed up to 90 days in advance! Nut Allergy Notice: Due to our cookie baking and handling process, all our products and baking/packaging team may come in contact with tree nuts or nut oils. Please be aware of this if you have any allergic reaction to these products. All products have major food allergens (wheat, milk, soy, eggs) and possible exposure to Tree Nuts/Peanuts. Create your own tin of cookies!